Loinger was born in Strasbourg, a city on the French-German border that “came under French control after World War I but maintained a distinctly German identity,” said The Washington Post. As Adolf Hitler rose to power, Loinger saw Mein Kampf in bookstores and heard the Nazi leader’s anti-Semitic speeches on the radio. An athletic young man, Loinger “studied engineering and then took up teaching physical education,” said The Times (U.K.). 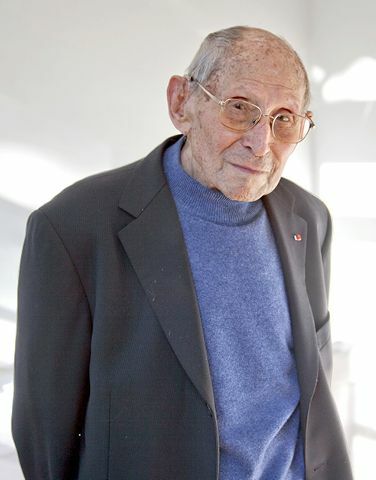 He did so, he said, with “the intention of preparing and training Jewish youth for the ordeal that awaited.” Loinger fought with the French army when Germany invaded in 1940 but was captured and shipped to a prison camp near Munich. He escaped to France and joined the resistance, also recruiting a cousin, the mime Marcel Marceau.